Pet Portals are a great way to have access to your pets' medical history 24/7. Especially this time of the year if boarding, taking your pets on vacation or even if you need to schedule an appointment on-line. Pet Portal offers the best alternative for an on-the-go owner. All we need is your email address and we can get you started. 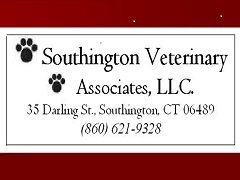 Please call the office at 860-621-9328, have your email address available and we can get you set up. You can even upload a picture of your pet to your Pet Portal account and receive reminders and updates with your pets photo on them. So have fun and sign-up!